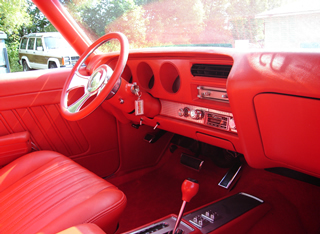 Offering professional custom auto upholstery installation and upholstery repairs since 1968! We can get your car looking new again! 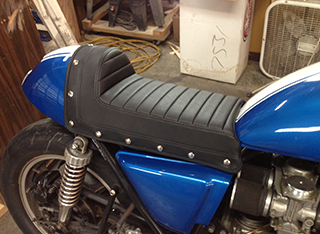 Keep your motorcyle looking new with our motorcyle seat fabric repair. 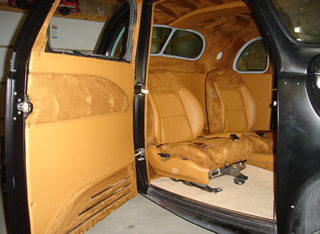 We offer professional auto upholstery services- from custom installations to upholstery repair for most makes/models. 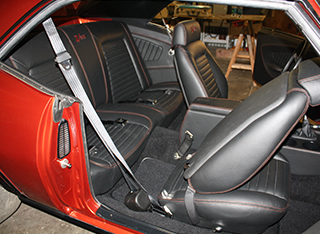 We offer both complete custom upholstery installation or auto upholstery repair. 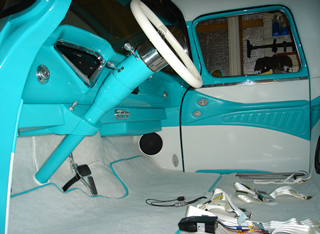 Get your car's carpet looking new with our professional carpet installation and repair. 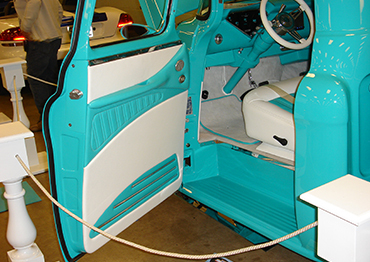 We can get your car looking the way it used to originally! We only work with the highest quality materials for all of our upholstery work. Repair services for your car's top/headliner available for most cars. Repair for your motorcyle seat. Repair or custom available. Here are a few images of some recent repair projects we have done. 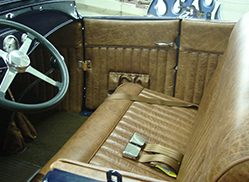 We are committed to offering exceptional quality in all of our upholstery repair projects. 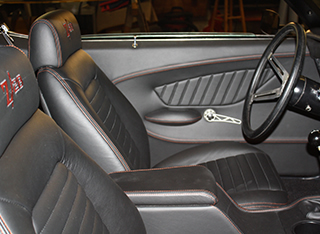 We have been in business since 1968 and have the skills to get your upholstery repair project done properly! Your complete satisfaction is our goal #1 goal. Our customers love us because of our high quality work, committment and low pricing. Stop by or give us a call today to find out how we can help you. 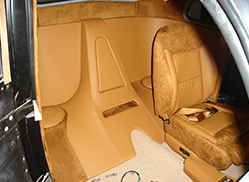 We work diligently to ensure that your auto upholstery is repaired as professionally as possible. 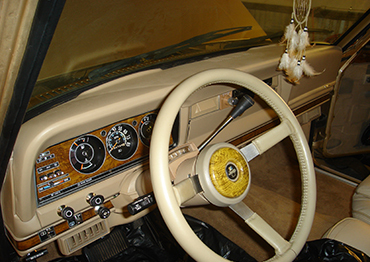 We know that you probably spend a lot of time in your car, and we want it to look as good as you want it to! 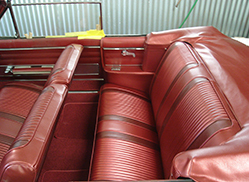 We can repair almost any type of vehicle fabric upholstery, including cloth, vinyl and leather. Give us a call or stop by today to let us take a look at what you need repaired and to get a free quote. We are here for you, Monday - Friday, 7:30am - 4:00 pm. We've been in the business since 1968! That's almost 50 years of experience! 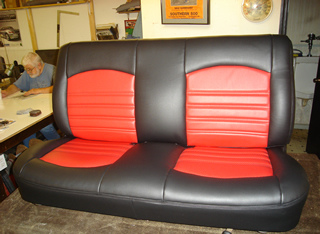 We offer the best upholstery repair prices around. Call us today. 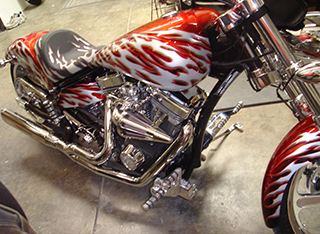 We offer vehicle upholstery repair for cars, trucks, boats and motorcycles. or call us now at (615) 822-4077. We strive for complete customer satisfaction with every project! Allen did a great job and only took one day to recondition and replace a seat panel and replace the material in my truck console. Reasonable prices. Great work! 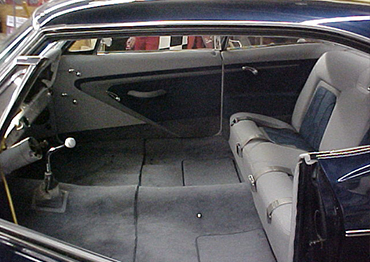 Anytime that I need great auto upholstery repair, I only go to Bennett's! I highly recommend them. They are really the best around. 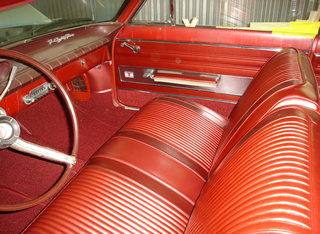 Since 1968 Bennett's Upholstery has been offering fine auto repair services. 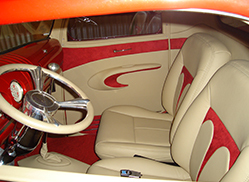 You can depend on us for all types of auto, motorcyle, boat and truck upholstery repairs.